The daughter of a man killed by an artillery shell fired by Kiev’s forces in a quiet Russian town just across the border from Ukraine is still in shock. In a night of horror, she also had to save her 11-year-old brother from the bombing. 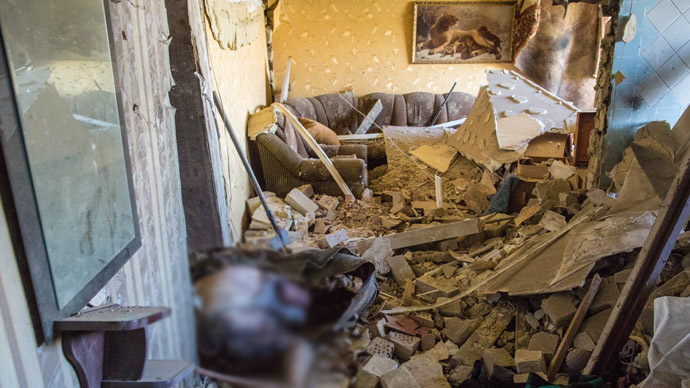 Andrey Shulyatyev, a 46-year-old father of four, was killed on Sunday when an artillery shell from Ukraine hit his private house on the border, in the Rostov Region of Russia. Irina, 20, was woken up in the middle of the night on Sunday by a sound of an explosion and could not believe it was not all just a bad dream. The girl was crying throughout her whole interview to LifeNews, in which she had to relive the ordeal of her terrible night once again. The girl just knew she had to save her terrified 11-year-old brother. Irina told him to go hide in the cellar, but the boy was too scared to go alone, so she had to take him there. Andrey Shulyatyev’s wife was working the night shift at a local shop. She could hear the shelling and was frightened when she could not reach her family by phone. Then her daughter rang. “She was hysterical,” the woman recalled. “She said something horrible had happened, they did not even understand what it was. She said: ‘We jumped over dad who was lying on the porch and we hid in the cellar.” When I came back from work, they would not let me come close to the house. It was cordoned off." The woman said authorities offered to move her to a hostel, as her house was badly damaged, but she refused. 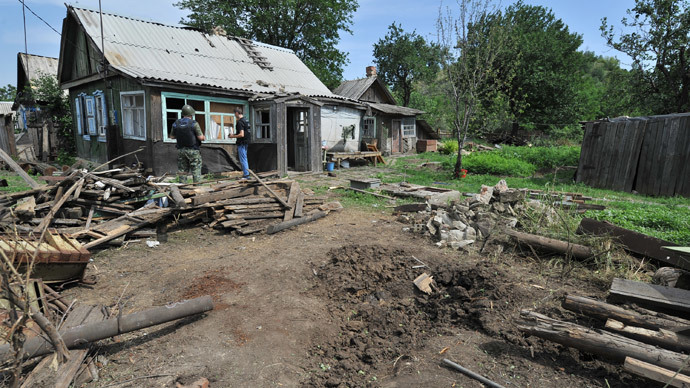 The same night Shulyatyev was killed, two of his female neighbors were also injured in the shelling. One of them suffered a shell fragment wound in the leg; another woman, reportedly 80 years old, was shell-shocked in her house across the street from the site of the explosion. 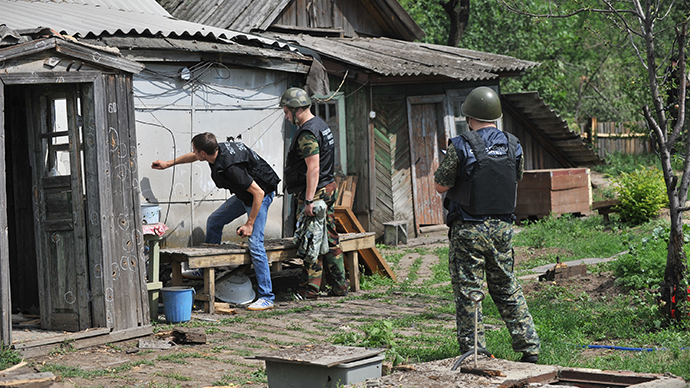 Russian President Vladimir Putin has expressed his “extreme concern” over the Ukrainian military's offensive and also over the incident of an artillery shell from Ukraine hitting a private house and killing a Russian citizen. 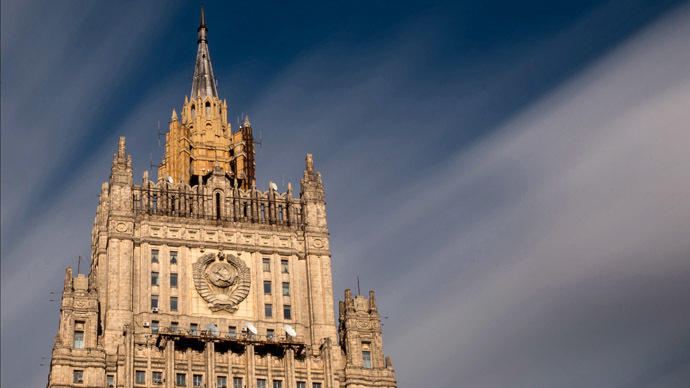 The National Security Council of Ukraine declared the same day that Kiev’s troops involved in the operation in the east of the country had nothing to do with the shelling incident.